Almost every person around the world knows the Coca-Cola brand and is steps away from a Coca-Cola product. Imagine healthcare was as sought-after and as accessible. To help make that a reality, the Coca-Cola Company, together with its Foundation, The United States Agency for International Development (USAID), The Global Fund to fight AIDS, Tuberculosis and Malaria (The Global Fund) and the Bill & Melinda Gates Foundation, have formed Project Last Mile – a partnership working to make vital healthcare available to those who need it most. Project Last Mile shares and applies the strategic marketing expertise and network of The Coca-Cola system with Ministries of Health to build capability in this area. Globally, nearly 1,000 girls and young women are infected with HIV every day. While great strides have been made in the fight against HIV/AIDS, eSwatini (formerly Swaziland) still has one of the highest rates of HIV/AIDS in the world. Young girls are the most vulnerable group in any society and therefore suffer the most. Girls aged 15 to 25 are five times more likely to be living with HIV than boys their age. In eSwatini, Project Last Mile is partnering with the Ministry of Health to inspire and educate young girls to make their health – both body and mind – a top priority. In 2017, Project Last Mile initiated a partnership with the Ministry of Health and The Global Fund to fight AIDS, Tuberculosis and Malaria to leverage The Coca-Cola Company’s marketing expertise to create demand for HIV prevention, specifically among young women and girls. Tapping into the Coca-Cola system, Project Last Mile was able to enlist best-in-class leadership, marketing research and creative talent to develop an innovative campaign with the Health Promotion Unit in eSwatini, and to up-skill local talent to implement and sustain the strategy. 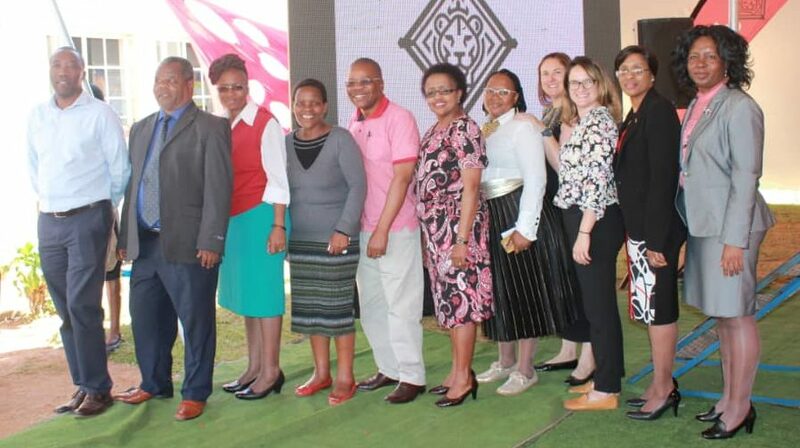 Representatives from the Ministry of Health, Project Last Mile, Swaziland National AIDS Programme (SNAP), National Emergency Response Council on HIV and AIDS (NERCHA), HMIS and iCAP at one of the Girl Champ Super Saturday events in eSwatini. Project Last Mile is working closely with the Ministry of Health, particularly the Health Promotion Unit and its partners, including the Sexual and Reproductive Health, Swaziland National AIDS Programme (SNAP), National Emergency Response Council on HIV and AIDS (NERCHA), HMIS and iCAP, to create a youth-friendly future, starting with young girls and then expanding to reach all those in need. The goal is to make healthcare spaces more welcoming. To achieve this, Project Last Mile and the Ministry of Health have launched the Girl Champ movement. Powerful and relevant marketing research drove the campaign design – a point of departure from how health communications are often undertaken in the public sector. 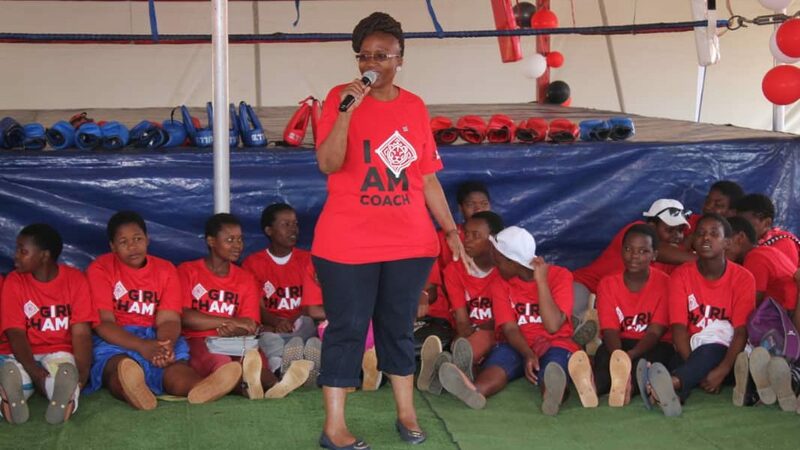 The Girl Champ movement grew out of specialized neuroscientific research Project Last Mile commissioned to better understand why HIV is a pandemic among young girls in eSwatini. Through this research, Project Last Mile discovered that young eSwatini girls have many battles to fight. They often feel afraid, judged and alone and can find themselves in unhealthy relationships. Despite this, they strongly desire a better future. The research revealed that while health education is available, safe spaces in which individuals can have meaningful conversations about the best treatment and prevention options are not. Girls have respect for the clinics and NGOs, as well as nurses and healthcare workers. However, they are nervous about visiting the clinics based on false stories. The research showed that they value the support and love of their families, and need a loving mother or a strong female role model. Sister Gumede talking to the girls about the services offered at the Zombodze LaMvelase Clinic in eSwatini. To overcome these barriers, Girl Champ introduced the idea of the healthcare worker as a coach, someone who is there to support, care for, educate and offer objective guidance, with the aim of encouraging young women to make good decisions about their health and well-being. Project Last Mile and the Ministry of Health want to build on the foundation already being laid by the nurses and healthcare workers to create healthcare spaces that are more welcoming and youth-friendly. Girl Champ has therefore supported the training of youth-friendly nurses and other youth interventions by reminding the healthcare workers of the important role they play in a young girl’s future. Girl Champ supports the Ministry of Health’s existing initiatives to ensure that healthcare remains professional, confidential and youth-friendly. Prior to launching, the Ministry of Health also undertook community sensitization sessions with leaders in the community to share the campaign and the importance of Super Saturday events for young girls. 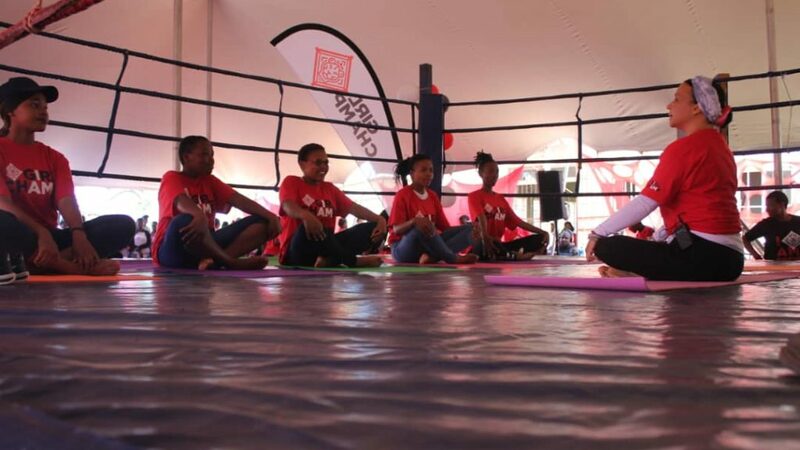 Girls were taught yoga and basic boxing skills to encourage them to live healthy, do sports and gain confidence. The Girl Champ movement is about using fitness and health to build a positive and empowered community of young eSwatini women. The Girl Champ movement uplifts girls through exercise. Girl Champ uses exercise and fitness (particularly boxercise), as a way to start conversations about health and well-being. Exercise has many benefits for girls. It relieves stress, can ward off depression and builds confidence. It encourages girls to respect their bodies and prioritize their health, and helps them understand how important it is to take care of themselves. On Super Saturdays, young women are recruited into the clinic system at Girl Champ fitness events hosted at key clinics, thus building a bridge between the community and the clinic in a fun and youthfully relevant way. The day includes fitness sessions and a talk by the clinic nurses who share their own journey of well-being. The clinic nurses share empowering and informative talks about the services the clinic offers and how these services can help a young girl live a healthier life. 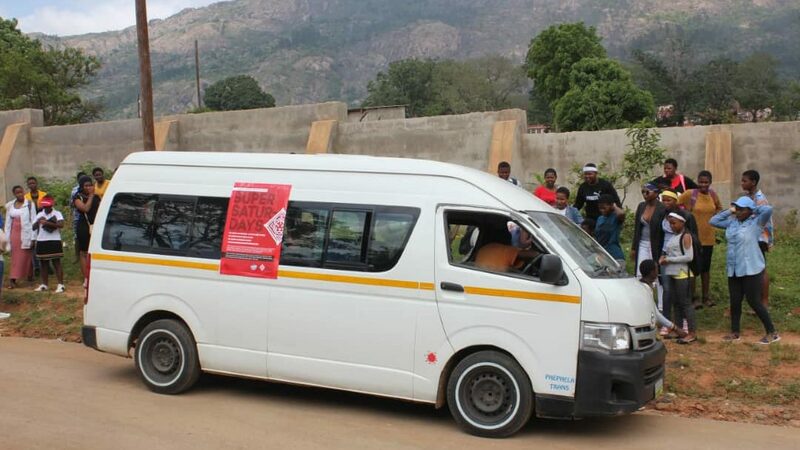 Project Last Mile and the eSwatini Ministry of Health kicked off the Girl Champ campaign with three Super Saturdays at local clinics in Manzini. Over three Saturdays in November 2018, Girl Champ events were held at Luyengo, Mafutsheni, and Zombodze. These were fun, safe and free-of-charge events for young girls (between 14 and30 years old). The aim of the events was to motivate healthy living and well-being amongst girls and to encourage the attendees to register with the healthcare system. The events were very well attended with just under 1,900 girls attending and registered over the three Saturdays. Approximately 160 girls sought counseling for various issues. The Super Saturday Transport to the Girl Champ events arriving to collect a group of girls. Project Last Mile and the Ministry of Health are working together to decide on the next steps in the rollout plan in Manzini. The team is working on key metrics for the program to measure success and to support a proposal to expand the program with girls throughout eSwatini, as well as looking at how boys may be integrated into the intervention.